Thermal clothing will be dressed up in safari club before start. 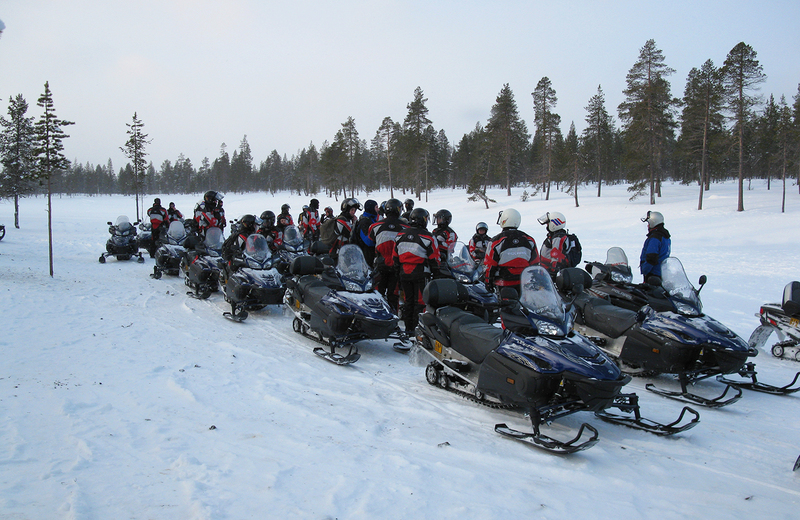 This one day trip by snowmobiles takes us over the fells and through the forests to Raja-Jooseppi, which is the official border of Russia. We also get information about the field of Raja-Jooseppi homestead, which is a nationally valuable cultural heritage area and protected by decree of the Finnish Government. Lunch at the wilderness is included in the safari. The total distance of day approx. 120 km. Drivers should have previous experience by snowmobiling!